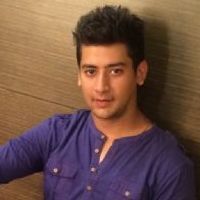 Check out the most updated and latest information about Paras Arora's on the Internet.We have 35 videos of Paras Arora including interviews, events, or public appearances.Paras Arora has over 140 Fans registered on India-Forums.com. We have 71 Television News articles related to Paras Arora.Do share your criticism, comments and feedback for the Actor on Paras Arora's comments page. We have over 7 Photos of Paras Arora to view and download including Paras Arora's Wallpapers. Sad to see Vivaan killed off once again, Good luck Paras Arora, hope to see you on screen again soon. Love your scenes with VJ and Meera, Paras Arora. You are doing great job as Vivaan. You are doing great job in Udaan Paras Arora. You brought old Udaan feel in one different way.